Three years ago, I completely fell in love with Kaoru Mori’s gorgeous Victorian romance Emma; it remains to this day my favourite of the (admittedly few) manga series that I’ve read. 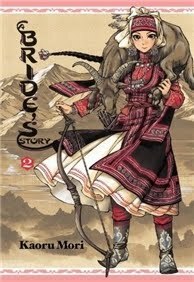 I was therefore very excited to find out that another historical series by Kaoru Mori was being translated into English. 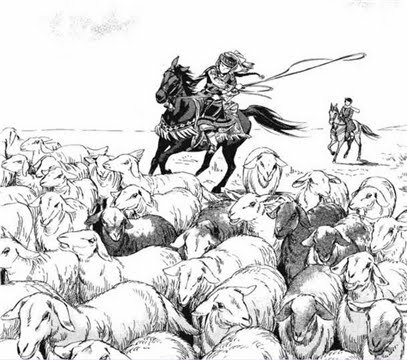 A Bride’s Story is also set in the 19th century, but not in Victorian England: this time, Mori takes us to a rural community in Central Asia and immerses us in Mongolian culture and traditions. The art! Once again Mori’s gorgeous and detailed style completely awed me. The protagonist of A Bride’s Story is twenty-year old Amira Halgal; as the title indicates, the first volume of the series opens with her wedding. In her culture, getting married means moving to her husband’s village, leaving her own family behind, and having to learn to make his community her own. This is a difficult enough process, but to make matters worse, her groom, Karluk Eihon, is only twelve-years-old. And it’s not him who is unusually young to be getting married, but rather Amira who is unusually old. Nothing happens between the two after the wedding except for a lot of awkwardness, feeling embarrassed around each other, and learning to cope with the social expectations of the entire village. And that is, for the most part, the subject matter of A Bride’s Story. A Bride’s Story takes place in a historical setting where women are seen as property, but the interesting thing is that Mori manages to carve little pockets of autonomy for her protagonist that actually feel authentic to their circumstances. The patriarchal social system is clearly in place, but much like in any other setting, women’s experiences are not a monolith. 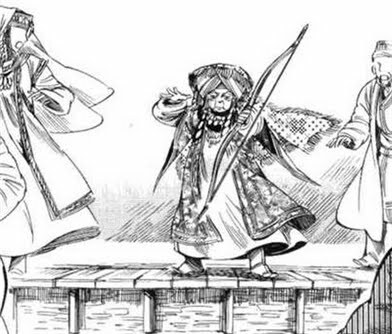 A Bride’s Story is not exactly a critique of Amira and Karluk’s culture, much like Emma was not a critique of sexism in Victorian England, but Mori nevertheless makes a point of writing female characters with real agency within this setting. As the story develops, readers realise that the community Amira moved into is less socially prestigious than her own. 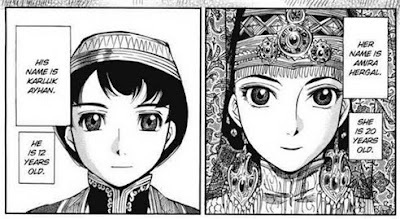 One of the main sources of conflict in these first two volumes comes exactly from Amira’s family’s realisation that they could have improved their own social standing considerably by marrying her off into a better (read: more traditional and aggressive) family. But the low profile of Karluk’s village is deeply tied with the social arrangements that allow Amira a greater degree of autonomy than most women could expect after marriage. 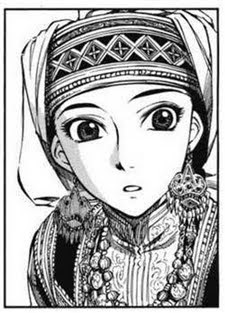 I know nowhere near enough about Mongolian history and culture to comment on the authenticity or historical accuracy of A Bride’s Story, but I do know that Kaoru Mori did a fabulous job with Victorian England in Emma. For this reason, she’s someone I’ve come to trust when it comes to careful research and historical accuracy. In A Bride’s Story, she once again does a brilliant job of making the setting come to life. There are historical notes at the end of some of the chapters, and there’s also a wealth of detail in the story itself. For example, there’s an absolutely beautiful section on traditional embroidery, which allowed women in Amira’s community a form of artistic expression and also played a key role as a community activity and even as a form of storytelling. And don’t get me started on all the gorgeous depictions of food. 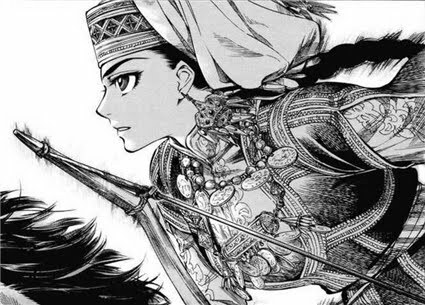 I also really enjoyed the fact that A Bride’s Story portrays a culture and setting that will be unfamiliar to most Western readers from the inside. 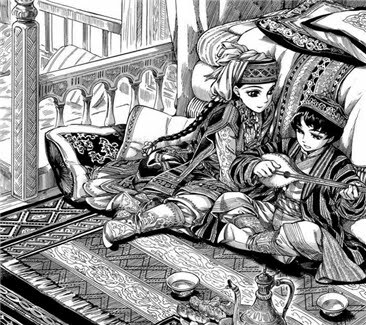 The focus is on Amira and Karluk and their experiences, not on someone else being amazed by their oh so foreign ways. There’s actually a western character in the story, a linguistics scholar by the name of Mr Smith, but his presence is more of a justification for a certain amount of exposition about history and traditions from the other characters than a tool of exoticisation. This might not always be the most elegant solution to the problem of information dumping, but it worked for me. Much like Emma, A Bride’s Story is a gentle, subtle and slow-paced story, with excellent characterisation and a richness of historical detail. Perhaps it doesn’t have the same immediate appeal as Mori’s previous series, but fans of her style will find plenty to enjoy here. 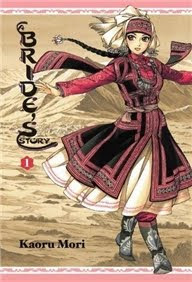 A Bride’s Story was listed by YALSA as one of last year’s top ten graphic novels for teens. Holy crow, this looks gorgeous—a favorite artist of mine's latest obsession is Mongolian history, so she's been cranking out these gorgeous pieces. WOW, that art style is *beautiful*. It's so detailed! I haven't read manga in a while (it gets so expensive to be invested in buying a series) but this looks very worth picking up (as well as Emma). Oh, this looks so good, and those illustrations are just amazing! I need to see if I can get my hands on a copy of this book and read it for myself. The comments you've made about it are just so intriguing! 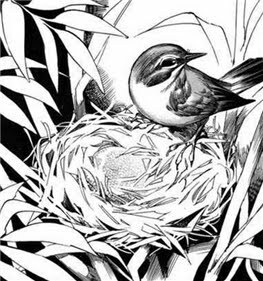 Wow these illustrations are stunning. Also I've been to Mongolia so I'm always interested in stories there...I'm going to check these out. Yay! I'm so glad Mori has another series out. And I'm obsessed with Mongolian culture, so this is perfect. Did you know Emma was turned into an animated series? There are two seasons out so far. Lovin your post! 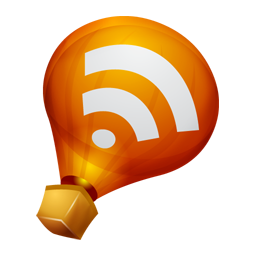 Here's a link to my book blog. I had no idea Kaoru Mori had had more work translated into English! This is wonderful news. My library has it, thank goodness, so it's now on my requests list. This sounds wonderful. I just read your Emma post and am now on a mission to find these books. My local bookshop has numbers 1-3. I've just looked around and Amazon's prices are so friggin expensive. Where can you buy these? Am going to Europe soon so let me know if you have a source there. PS - you can tweet me. Thanks! I really loved the Emma series so I am definitely going to try and get hold of this one too. The images look amazing! When I did my Trans-Siberian/Trans-Mongolian trip I was looking for books about Mongolia or by Mongolian writers (much rarer), but I never came across these. They look great! I also enjoyed Emma, but only saw it the Manga TV series. Please stop getting me super excited about graphic novels that are still only halfway done, because then I start moaning about wanting it to be all ready to read at once. The only thing that keeps me from buying "A bride's story" is that I really don't like the hardback edition when it comes to manga - I make an exception for "Horou Musuko/Wandering Son" because it is so good. But I really want to read "A bride's story" - I liked "Emma" quite a lot (not so much the anime adaptation), though it didn't impress me as much as it did other people. Though if you have read few manga as you admit I think it shows great taste that you liked "Emma". And thank you for not being prejudiced against manga as I've seen happen with other bloggers. I love manga and read and buy as much as I can, and I'm always happy to rec new stuff to people.